CSA Hygiene is a market leading supplier of Industrial and Commercial Cleaning operating in Llanelli, Swansea, Carmarthen, Cardiff and throughout the South Wales area. Here at CSA Hygiene we have the knowledge, experience and manpower to solve any Hygiene issue for contractors and businesses of all sizes. Whether you are a small single premises organisation or whether you are a large organisation with multiple busy production areas, CSA Hygiene are able to provide you with the flexibility of a Reactive, Periodic and Scheduled cleaning system that meets your organisations particular needs. Here at CSA Hygiene Commercial Cleaning we provide our customers with market leading cleaning standards at realistic and highly competitive prices. We pride ourselves on having a dedicated workforce and management team which is trained to the highest level of professional standards, ensuring that all of our customers needs are not only met, but are surpassed. Our success is based on an in-depth understanding of the commercial cleaning sector and on our effective quality management systems. Whilst this may be the case CSA Hygiene are also committed to protecting the environment, both now and for the future. To achieve this we maintain on-going communication between our clients, suppliers and site management to develop environmental solutions to comply with current and forthcoming legislation. 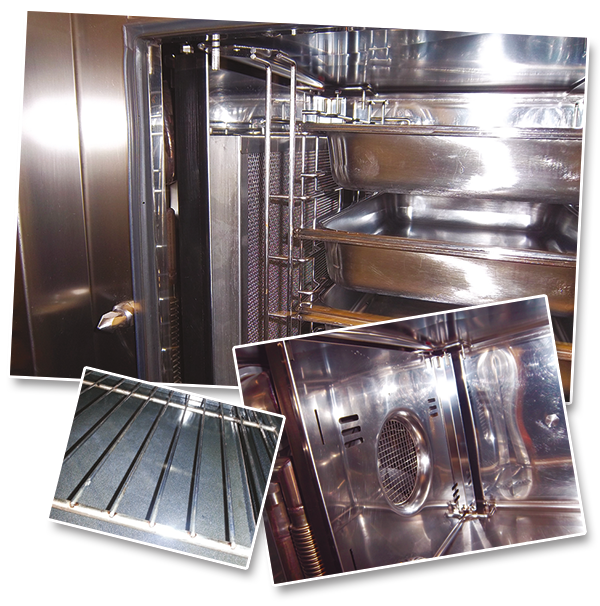 Extractor System Cleaning - includes: Canopies, Filters, Ducting & Fans. CSA Hygiene has built its success and reputation through excellent standards of work and customer service, we understand the importance of customer care, which is why all of CSA’s Directors are involved in every aspect of the day-to-day running of the business. At CSA Hygiene Commercial Cleaning we endeavour to provide all of our customers with the highest level of customer service. An operational manager is appointed for every contract, ensuring a satisfactory customer relationship at all times. Appointed managers are available 24/7 via mobile or blackberry email, ready to assist whenever the need arises. Most of the work we do here at CSA Hygiene is referred to us by our previous customers, The CSA group has become synonymous for its reliability & flexibility, value, quality and customer support. Check out our ‘Clients’ and ‘Client Comments’ pages for examples of just some of the clients we have had the privilege of working with. CSA Hygiene understand how many businesses can be very busy working environments and finding time to do that much needed deep clean can be strenuous and difficult. This is why CSA Hygiene’s 24 hour cleaning operatives are ready and willing to work at a time that suits you and your business. As an added incentive to potential customers, we at CSA can provide your organisation with FREE site surveys and written quotes for any potential cleaning work you might have.